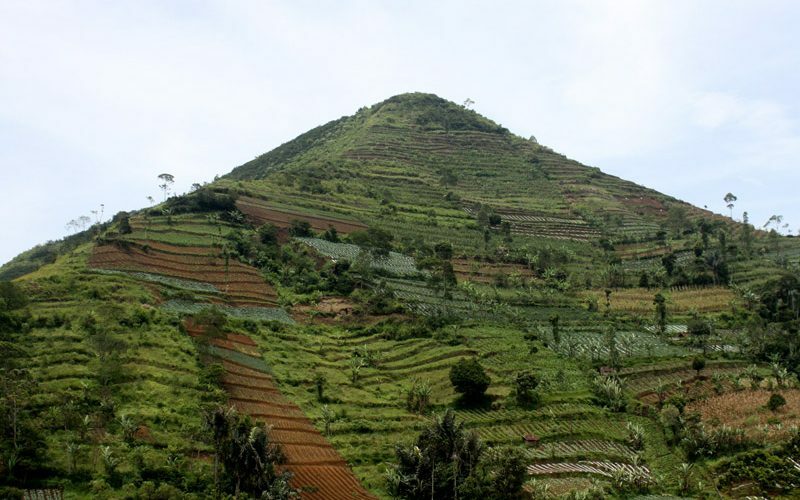 The Great Pyramid of Garut? A pyramid far older and larger than the Great Pyramid of Giza, may have been discovered in Indonesia. Mount Sadahurip in Garut, West Java, dubbed the “Garut Pyramid,” has been undergoing verification tests by the Ancient Catastrophic Disaster Team to see if the mount is indeed based upon a man-made structure. By using geo-electric instruments, surveyors are measuring the resistance of the geological layers, while seeking additional funding to begin excavations. An initial survey determined that the structure is unlikely to be of natural formation. A 3D contour plot of topographical digital data supports the following hypothesis, “There exists an anomaly formation made of sinder cone located on a horizontal unconformity intrusion base.” Carbon-14 dating shows that the age of the ancient top soil dates back to at least 6000 BC, while the age of the hard soil in the lower strat is from 7500 BC. The Deutsche Orient-Gesellscaaft (DOG), with research Prof. Bonatz, will meet with another interested researcher, Stephen Oppenheimer of Oxford University, and author of Eden in the East, in Bali to discuss a way to fast-track excavation. More research will be necessary to determine the validity of these unorthodox claims. Image: “Garut Pyramid” by AstroMarvels on Flickr courtesy of Creative Commons Licensing. 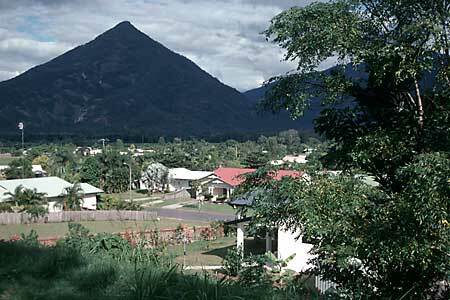 Posted in Asian HistoryTagged Garut PyramidcommentLeave a Comment on The Great Pyramid of Garut?